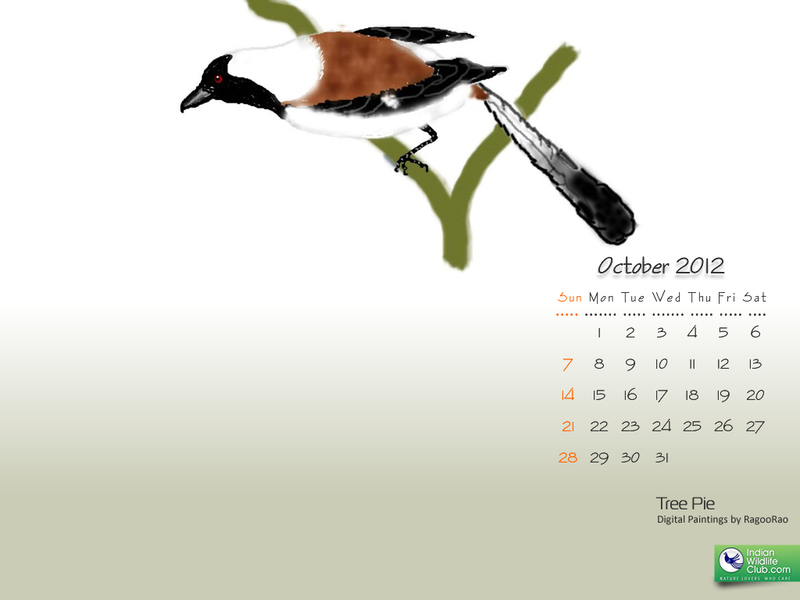 RagooRao from Mysore has done some beautiful digital paintings, which we have converted into monthly calendars. Please download these calendars free and use them as your desk top wall paper. By clicking on RagooRao's name, you can read the numerous articles he has written for IndianWildlifeClub.com. He is also a superb nature photographer. To download the calendar suitable for the size of your desktop, please click on the link below.